Following an afternoon of skateboard and BMX Qualifiers, the BMX Street Finals kicked off the evening's competitions. Once again it was the unstoppable Garrett Reynolds who took the top spot, winning his 9th gold medal in the event. On the same course the ladies continued the action as crowds packed in to watch the Women’s Skateboard Street Finals. 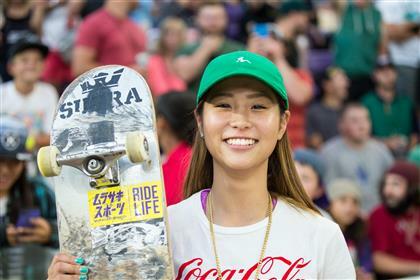 Amidst an international field it was 15-year-old Aori Nishimura from Japan who, on her first attempt, put together a run that would not be topped. 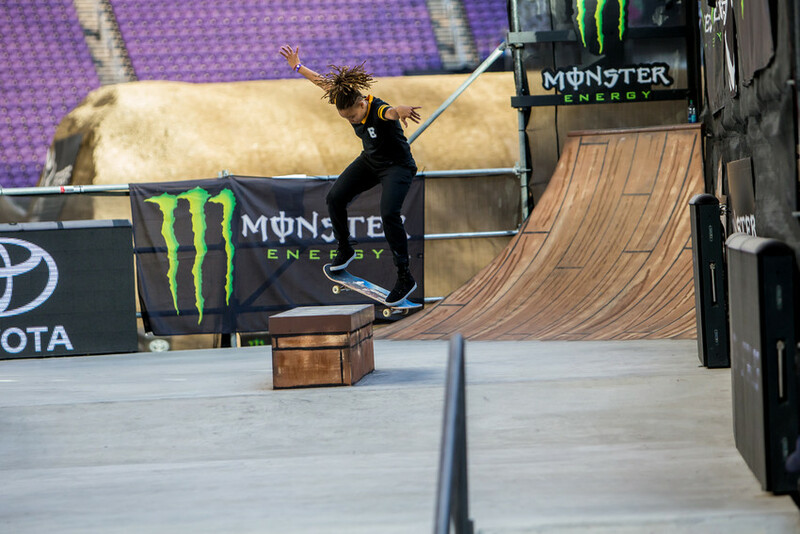 Starting off with a crooked grind down the 8-stair rail, Nishimua continued with a stylish feeble grind on the Viking ship, a textbook frontside lipslide on the flat rail and backside lipslide on the big down rail. 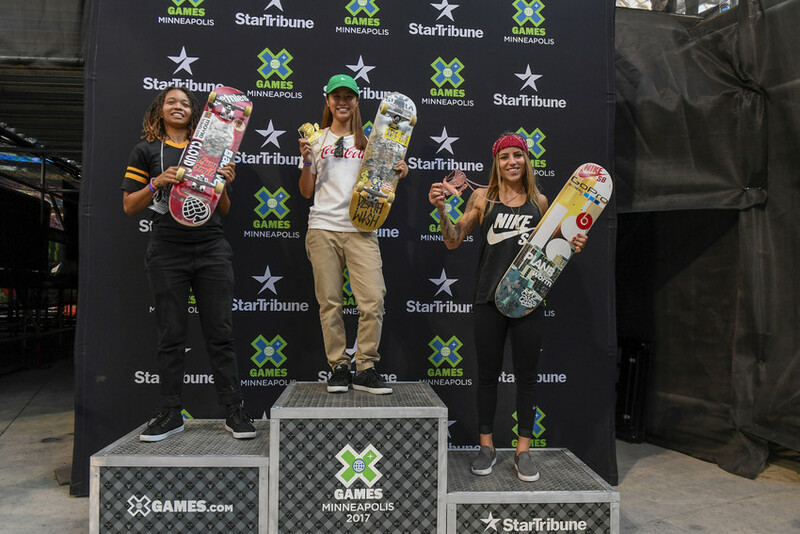 It was enough to bump Riverside, California's Samarria Brevard into second for the young rider's first X Games medal. 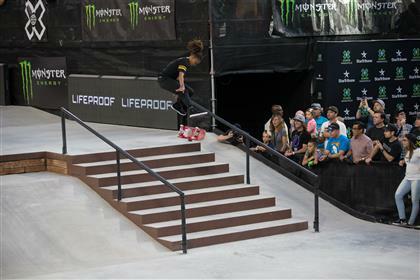 Brazil’s Leticia Bufoni put in a strong final attempt and landed in third despite a crash on her powerful run. With the win Nishisimura became the first female Japanese skateboarder to win gold at X Games – this, after yesterday's victory by Moto Shibata in Men's Vert who likewise, accomplished the same feat for the men. As the sun began to set, the men took to the Big Air ramp for The Real Cost BMX Big Air Final. 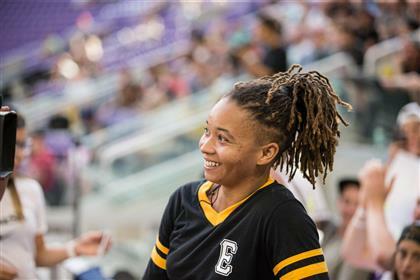 Taking the gold was California’s James Foster, and wrapping up the night was the Pacifico Moto X Freestyle Finals where Levi Sherwood rode away with his first gold medal. With adrenaline still high, crowd’s then moved outside to the Commons stage to enjoy indie rockers A Day to Remember play a blistering set to end the action filled day. 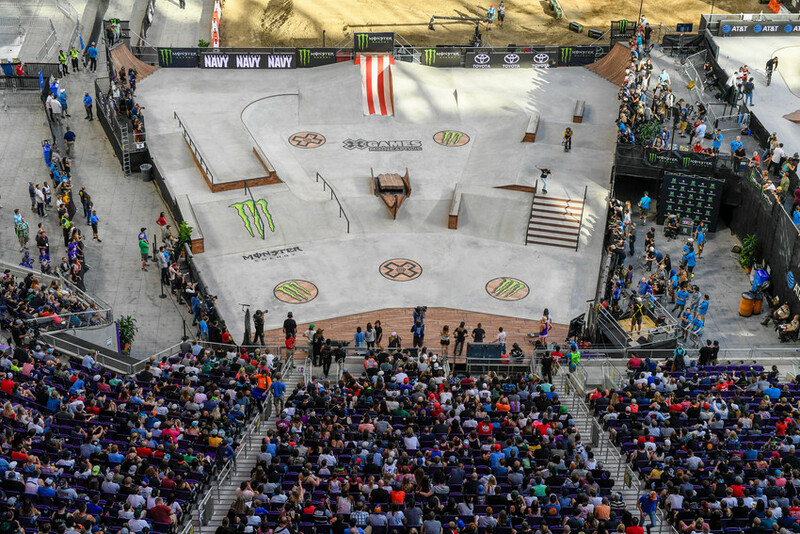 Action continues on Saturday with the weekend's busiest day of competition including finals for the Toyota Men’s BMX Park, Lifeproof Moto X Step Up, Women’s Skateboard Park, Moto X Best Whip, Monster Energy Moto X Best Trick, and finally, the Monster Energy Men’s Skateboard Street competition. 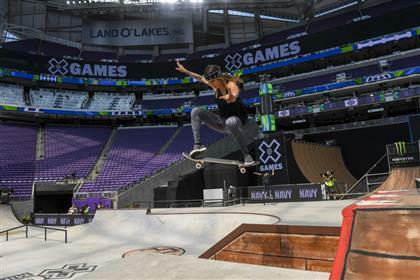 To find out more about X Games Minneapolis, head to their website or Facebook page.